Following up on Bristol-Myers’ 1960s dual-chambered bottle for Tandem Shampoo, here are 7 more bifurcated, dual-chambered bottles. Looking at bottles like these, I’m wondering if part of their appeal is that we feel akin to this sort of divided, bilateral symmetry. 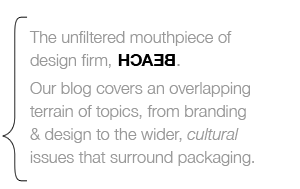 We, too, are compartmentalized, our dual halves sometimes at cross-purposes. Our bodies and brains are largely bilaterally symmetrical … The internal organs, including the heart, lungs, and stomach, are arranged asymmetrically, presumably for more efficient packaging. But the brain… remains for the most part built on a bilaterally symmetrical plan. The brain is not only symmetrical; it is also double. 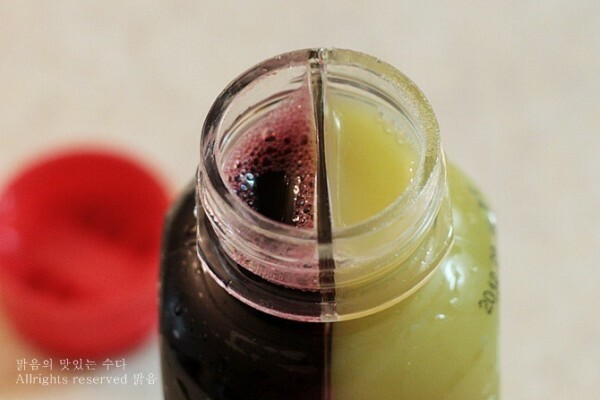 While the advantage of a bifurcated bottle over a twin pack of separate bottles is debatable, the duality of “Duet” created significant buzz for this product in Korea. Not sure whether Seoul Milk patented Duet’s bottle. I looked, but in this case, did not find one. It should be noted, however, that it’s not just the bottle itself that’s note-worthy. As with many dual-cambered bottles, there is also a dual-dispensing cap. In this case, the cap allows for the two juices to be poured either separately or all in one go. 2. Mentadent’s 1995 “Dual Action Mouthwash” offered baking soda and peroxide as key ingredients. Here, the separation of ingredients is to postpone the chemical reaction that will occur when they’re mixed. 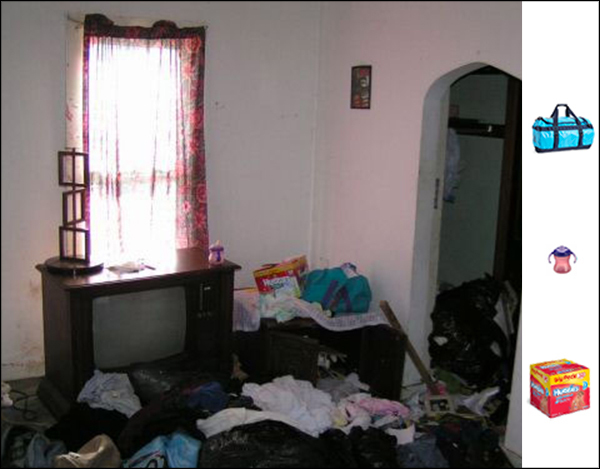 The idea being, that the efficacy of the product depends on the chemical reaction happening at the moment mouth-washing. Chesebrough-Ponds saw an opportunity to extend the dual-chambered dentifrice concept into the mouthwash category. Kornick Lindsay responded with a package that leverages the uniqueness of the two-part system while adding convenient features for the end user. Our patented package incorporates two PET chambers that rest on a molded PP base, and a flow controlled dispensing system to accurately meter the components into the system’s cap. Kornick Lindsay also hold patents on dual-chambered pouches. 3. 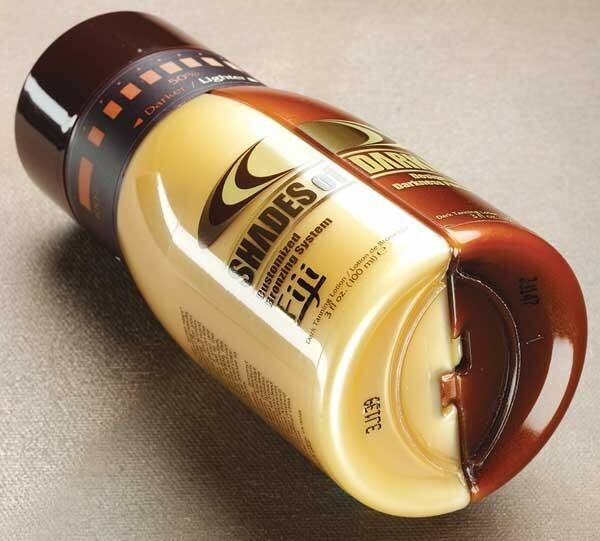 Shades of Darkness appears to be a discontinued product once manufactured by Supre Tan. Packaged in a Versadial/VeriBlend dual-dispensing bottle, the product’s brand promise was a numerically precise degree of tanning. … the U. S. debut of the Versadial variable dispensing technology. Appearing at first glance as a single bottle the package is actually two 3-oz half-bottles that lock together tongue-in-groove style. One side holds the “light” formula lotion the other the “dark” bronzer that contains a higher percentage of the active ingredients including self-tanners and bronzers. Rotating the cap regulates the ratio of product dispensed from the bottles. As the Versadial dispensing head rotates it simultaneously positions an interior disk at a premeasured angle and setting to the pump pistons. These angles determine the extent to which each pump will be engaged when the actuator is pressed precisely affecting the amount of product that is dispensed from each bottle. Mixing ratios from 0 to 100% in as little as 5% increments can be preset. Referring now to Figure 1 of the Drawing, a bottle or container 2 is depicted, said bottle having a body 4 comprising two chambers 6 and 8, an end wall or panel 10, and a depending finish or neck 12. A closure (not shown) could, of course, be combined with the finish, to seal the bottle contents from the environment (typically, the closure and finish are provided with mating threads, although bead and tab and other sealing means are possible). The chambers 6 and 8 can be formed by partitioning bottle 2 with a median wall 14. 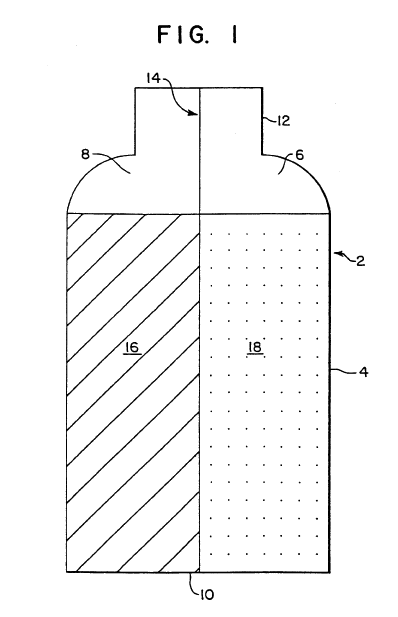 One chamber holds first portion 16, the inventive peracid precursor-contained colloidal dispersion, of a delivery execution according to the invention, the other chamber holds second portion 18 of the delivery execution. Together, first portion 16 and second portion 18 comprise one product formulation according to the invention. Rather than partitioning the bottle into chambers, one could also injection mold two separate chamber halves and attach the halves by adhering them. Alternately, the chamber halves could be co-blowmolded by having a diehead capable of blowing dual partitions into a mold, with that portion of the one partition wall coming in contact with the other forming the partition. 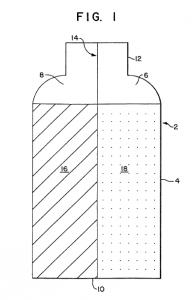 An equivalent of the dual chambered container would be to provide two separate containers containing, respectively, a first portion containing the peracid precursor composition and a second portion containing the remainder of the dual delivery formulation. 5. Redkin’s “Blond Idol” comes packaged in another of VeriBlend’s dual-dispensing bottles. In this time the product’s adjustability is a matter of controlling hair color, rather than skin color. 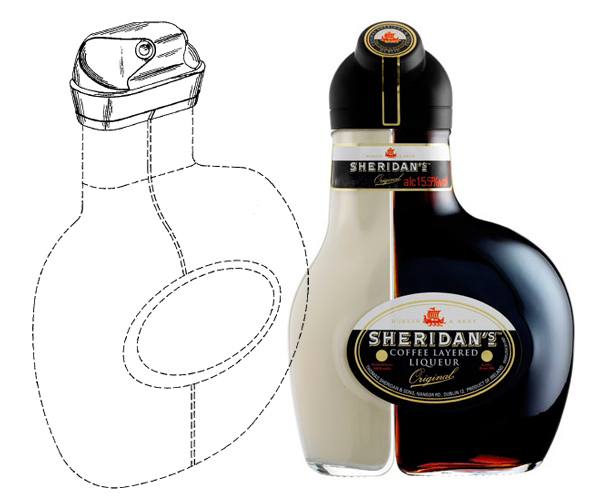 IDV (now UDV Diageo) had conceived and tested a radically new two-part product in the international drinks market – Sheridan’s Perfect Pour. While the brand had stimulated market interest worldwide, customer feedback on pouring the drink from two separate but joined bottles was not good. PA Consulting Group was given the task of designing and developing a new ‘fool-proof’ one-step pouring system within a twelve month timescale to meet a launch date. The Sheridan’s Perfect Pour was introduced on time to a worldwide market, enabling IDV to build a substantial new drinks market and brand around the novel concept. The multi-compartment container of this invention is made from previously formed “partial bottles” and is preferably made from two previously formed “half-bottles”. 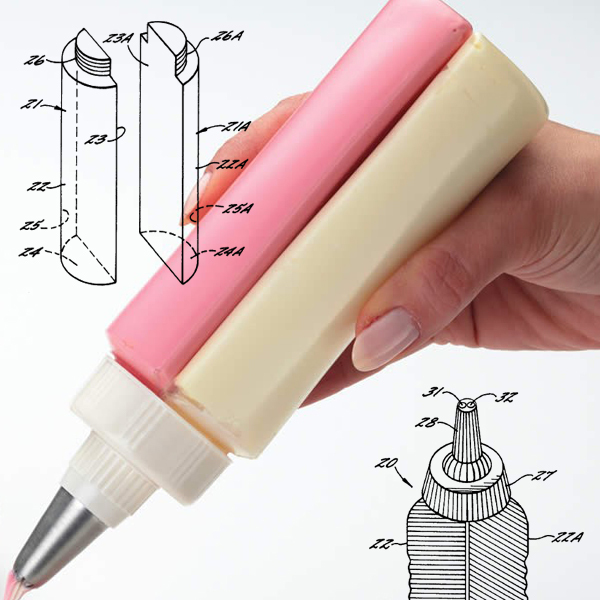 The initial step in the invention is to individually form each of the “half-bottles” from a pliable plastic, as by blow molding, each “half-bottle” comprising a flat side wall opposed by a semi-circular side wall, a bottom wall and a threaded portion opposite the bottom wall. The flat walls and corresponding edges of two “half-bottles” are bonded together to define the body portion of the multi-compartment container of this invention. Each “half-bottle” and the space therein serves as one of the compartments in the multi-compartment container. A cap with a dispenser for each compartment serves as a cover for the multi-compartment container. The pliable plastic from which the multi-compartment container is formed enables a person to squeeze either of the compartments and push out one of the condiments or squeeze both compartments and squeeze out both mustard and catsup simultaneously on foods like hot dogs and sandwiches. Any leads on refillable two chamber squeeze bottles? I’m thinking of one I had in the past to carry shampoo and conditioner to the shower room at the gym.